A British artist is among those shortlisted today for the Deutsche Börse Photography Prize 2015. UK-born Patrick Waterhouse collaborated with South African photographer Mikhael Subotzky for an ‘intimate and deeply evocative’ social portrait of a 1970’s Johannesburg apartment block that reportedly became a centre of crime, prostitution and drug dealing, and a symbol of urban decay. The pair’s work also drew on architectural plans, plus archival and historical material about the building and community. The project appeared in the pair’s publication, Ponte City, earlier this year. 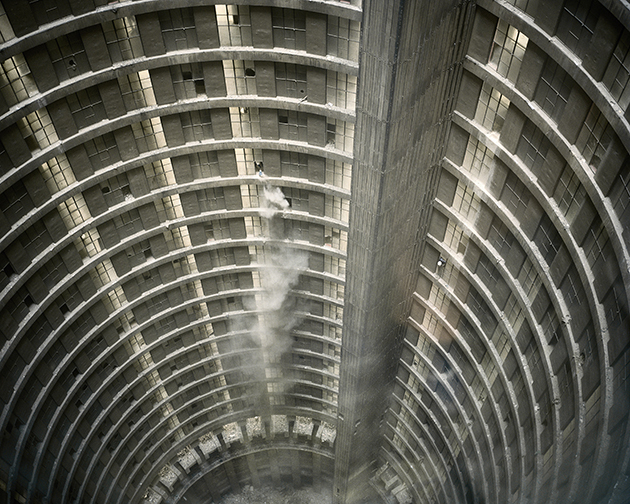 Mikhael Subotzky & Patrick Waterhouse l Untitled #1, Ponte City, Johannesburg, 2008. Also shortlisted for the Deutsche Börse Photography Prize 2015 are Russian photographer Nikolai Bakharev; Zanele Muholi (South Africa); and Viviane Sassen (Netherlands). Chair of the judging panel Brett Rogers said this year’s shortlist ‘reflects a diversity of attitudes towards the medium underpinned by an exploration into new and unexpected modes of presentation incorporating video, text, object and wall-based photographic displays’. The winner/winners of the £30,000 cash prize will be announced at The Photographers’ Gallery in London on 28 May 2015. The work of shortlisted photographers will go on show at The Photographers’ Gallery from 17 April-7 June. The Deutsche Börse Photography Prize rewards a photographer, of any nationality, who has made a significant contribution, in exhibition or publication format, to photography in Europe between 1 October 2013 and 30 September 2014.